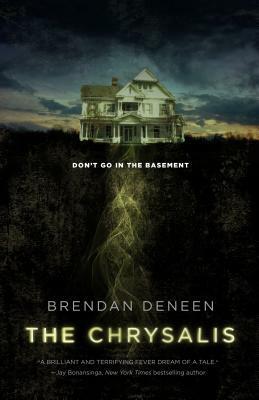 It’s been a while since I’ve felt this excited for a horror novel, and this one, described as “The dark side of ‘adulting'” and of suburban life gone awry, sounds like it has some very interesting ideas to offer. “Forced out of New York City by rising rents and gentrification, barely-employed millennials Tom and Jenny Decker–an artist and a personal trainer–luck into an amazingly affordable, completely furnished house in the New Jersey suburbs. Jenny doesn’t know there’s something hidden in the basement. Tom does. It soon has him in thrall. The Deckers’ lives are suddenly on an upswing: Tom gets a big-bucks corporate job. Jenny, pregnant, opens a small gym catering to moms-to-be. They make friends despite their worries about becoming boring suburbanites. Tom regularly visits the basement, where the thing scrambles his senses and heightens his emotions, making him feel like a Master of the Universe. Every upswing has its peak. After that, comes the fall. Tom’s is going to be hard and fast. Man, why such a long wait – that stinks. I need this one now. However, it may hit close to home because I won’t go in our basement either. Our house is 117 years old and it has a half basement which I call “the dungeon.” I’m sure I’ll NEVER be convinced to enter it after reading this one! Yikes! Old houses in general can be kind of creepy, especially with the mysterious creaks and sounds, let alone the dark basement! This sounds perfect and the timing for release is great too – just in time for the shorter days and early nights. You’re right! It would be a great fall read! Sounds creepy! And everyone should know not to go into the basement! Oh I want this one now! This does sound really good! As someone who was deathly afraid of the basement when I was a kid, this sounds creepy as hell!